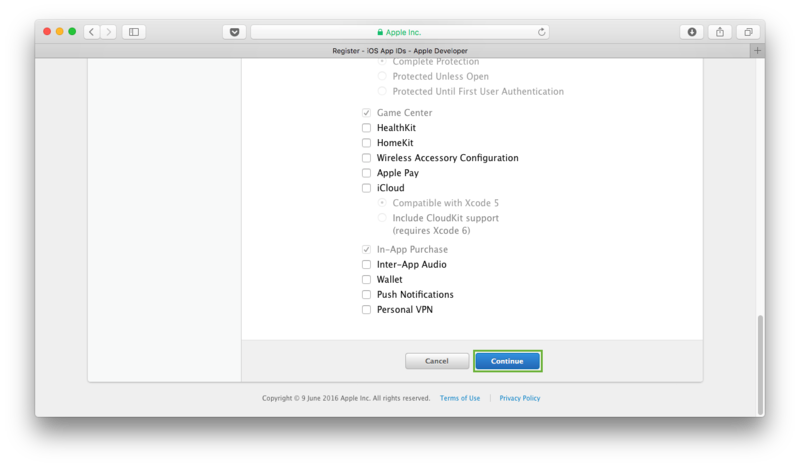 If you started iOS app development and want to upload your app or want to test build via test flight you need App id first. Here i have shown steps for to create app id. Before the creating App ID. Study the tutorial to Create Developer Certificate. 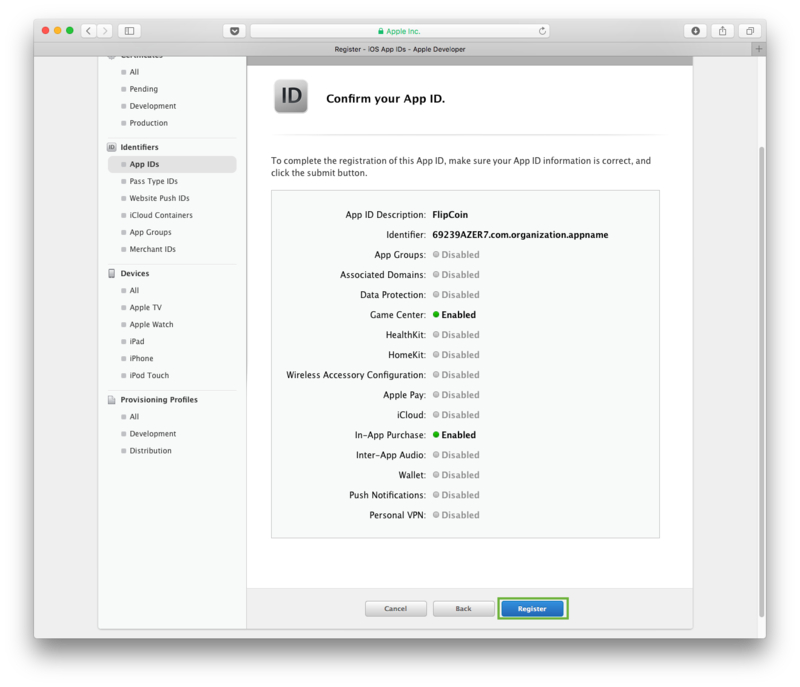 NOTE : App id once created will not be editable(App name & Bundle identifier) or delete. Double check information what you are going to provide. You can just edit capabilities. 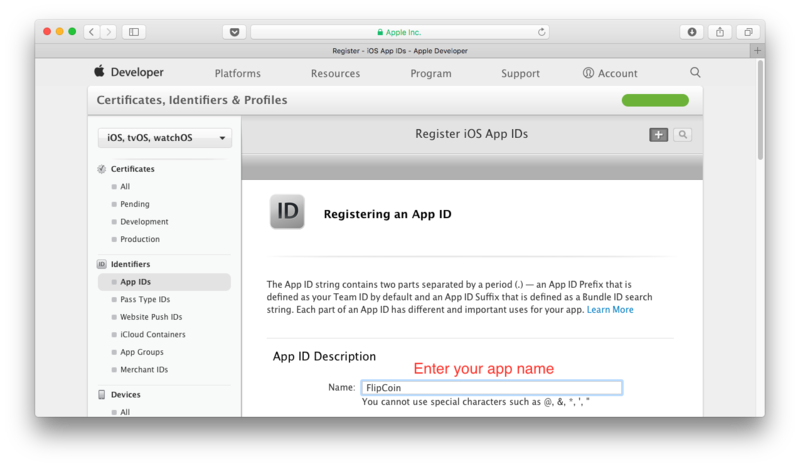 > Go to "Certificates, Identifiers & Profiles"
Step 1 : Select "App IDs" from left panel. 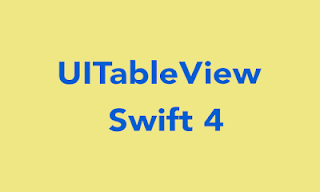 Click "+" from Top - Right to create new app id. Step 2 : In a new screen provide your app name. 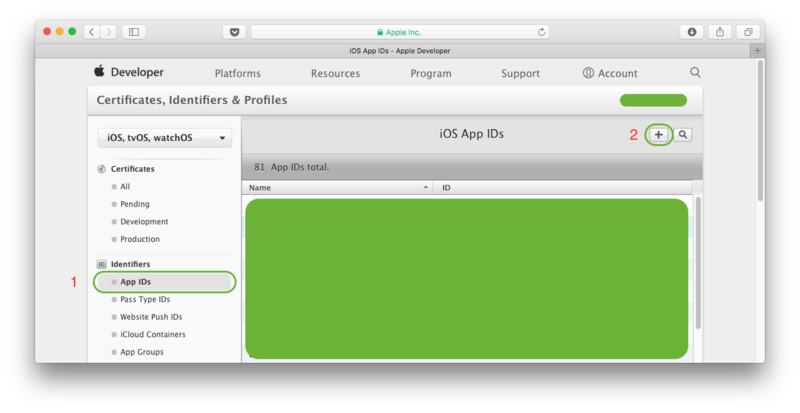 Step 3 : Scroll down and type your apps bundle identifier. Step 4 : Tick the options if you are using in your app as a capabilities. Press "Continue" for further process. 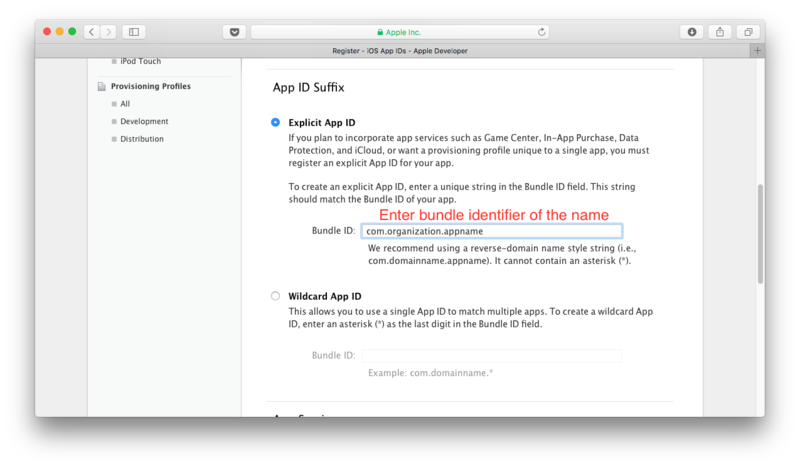 Now apple will check for availability of your app name and bundle identifier. If those are used by another person / Organisation previously then apple will prohibit to go further and request you to change another one. Step 5 : Apple will confirm id. Click "Register" to complete. 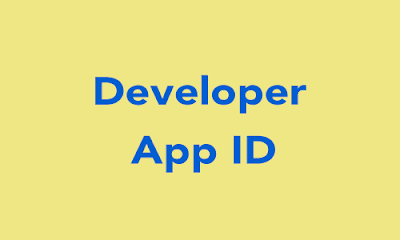 Now, You have successfully created App ID for apps. Now you want to create Provisional Profile for testing build on your device. Here Complete details , How to Create Provisional Profile.